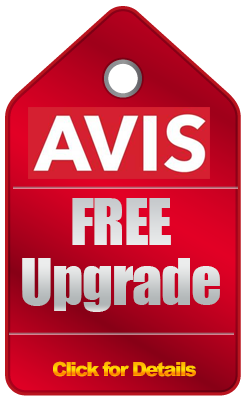 The next time that you are in need of a discount car rental, come right here to Avis at RentalCarMomma.com. 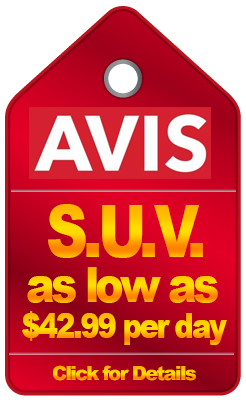 Right now, when you rent an Avis discount vehicle, depending on youyr total, you will take $10-$25 off of your total price. Check out the link below or the hang tag on the right to see your savings. Free Day on the weekend! Save up to 35% or more when yuou prepay for your Avis rental car. Free Upgrade on your next rental! Enjoy the benefits of a free upgrade on your next rental. Offer details in the link below. RentalCarMomma.com and Avis Rent A Car are partnering to make your car rental experience as pleasant and affordable as it can be. With over 5200 locations in 165 countries around the world, Avis is truly among the leaders in the car rental business. And RentalCarMomma.com has been around for over 20 years, offering online rental car coupons and discount coupon codes for free upgrades, GPS discounts and money saving opportunities on your rental car, whether it's a weekend getaway or a weekly business trip.